The report also suggests that the device may never be launched outside South Korea. It’s just a matter of few weeks when LG will be unveiling its next flagship smartphone, but a new report hints that the LG V30 might not be the only variant to be officially launched at the event. According to a report by ETNews, LG plans to announce a ‘Plus’ variant of the V30 alongside the standard variant during the IFA 2017 event in August. The report also suggests that the device may never be launched outside South Korea. The Plus variant is tipped to feature 128GB of storage, compared to V30’s 64GB and other features such as wireless charging and an advanced audio system. Both devices could share the same OLED panel with a difference in the real estate of the screen. 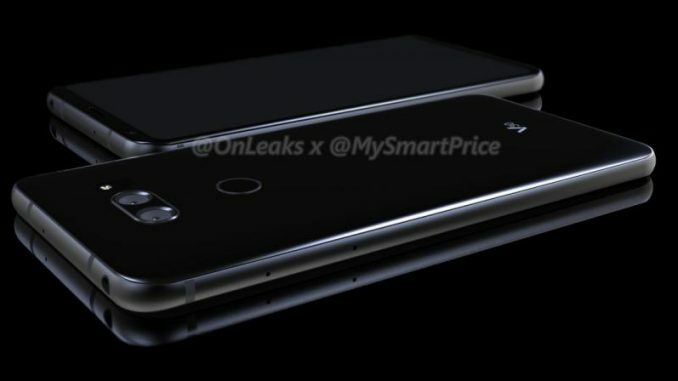 If the rumours are to be believed, the LG V30 will most likely include the Snapdragon 835 processor and will come with IP68 certification for dust and water resistance and ESS Quad DAC support, as well as a headphone jack. The LG V30 can also have a ‘bezel-less’ display similar to the LG G6, but is likely to feature the signature secondary display. The V30 display can also feature an inset camera similar to the one seen on the essential phone. The LG V30 is speculated to be unveiled on August 31, a day before the opening of IFA 2017 Berlin which runs until September 6. However, If we do see the V30 at IFA, its official release will probably follow a few weeks later, in South Korea for sure, but hopefully globally.